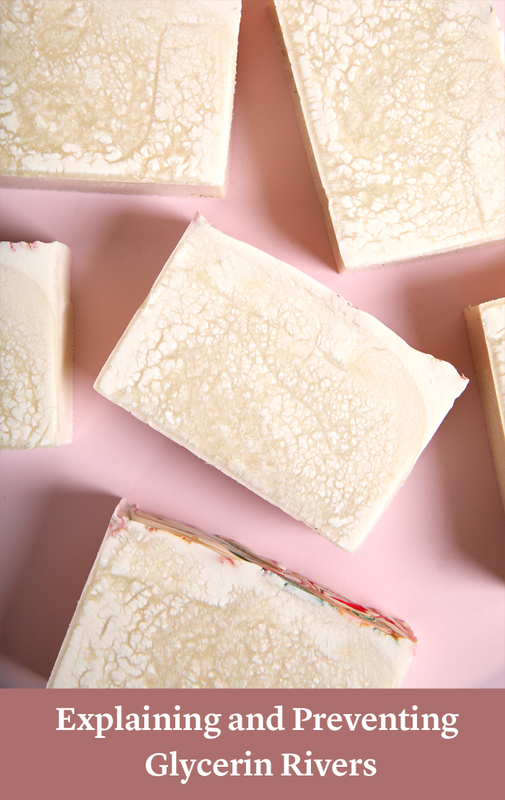 Soapmaking is both a science and an art. 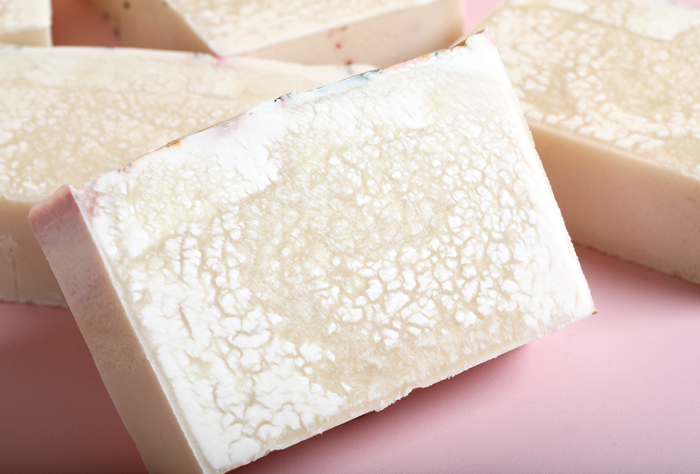 Countless variables, like temperature, can affect the look and feel of your soap. Cold process soap that gets too hot can form glycerin rivers. They don’t affect the quality of the soap, but they do affect the way it looks. Glycerin rivers create a cracked or mottled appearance that can obscure more intricate designs. This post goes over how to prevent them. Glycerin is a naturally-occurring byproduct of the soapmaking process. It adds cleansing properties and attracts moisture to the skin so it stays hydrated. In short, glycerin is one of the things that makes handmade soap so amazing. 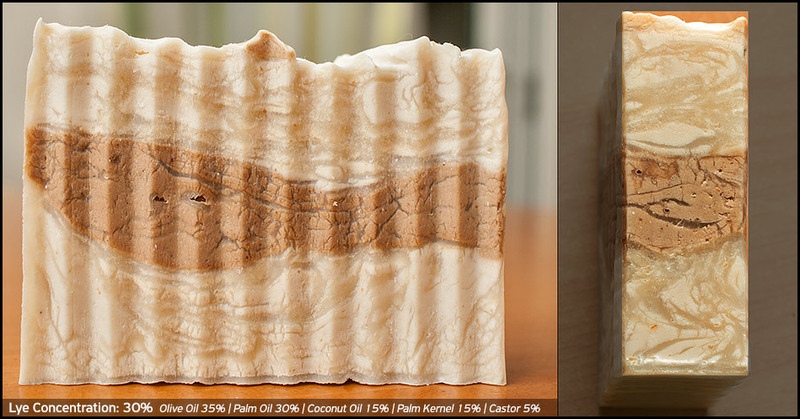 When cold process soap gets too hot the glycerin can congeal, which makes the rivers more visible. If they’re thick or clustered in one section of soap, it can be softer than the rest. Glycerin rivers are more visible with pigments, especially titanium dioxide. That’s because they’re more dense than micas and LabColors. Learn more about the colors we offer and how to use them in this post. The good news is glycerin rivers are fairly rare, and most people won’t notice them. However, if you want to create a smooth bar, here are a few easy steps to prevent them. Try a water discount of 10% or higher. Along with preventing glycerin rivers, it helps prevent soda ash and helps the soap unmold and cure more quickly. Mix your colorants well before adding them to soap, especially if you’re using pigments. We recommend a ratio of 1 teaspoon of colorant mixed into 1 tablespoon of a lightweight oil like sweet almond. If you’re using titanium dioxide, it helps to disperse it in oil rather than distilled water. Lower the temperatures of your lye water and oils by 10 degrees. If that doesn’t do the trick, you can try soaping at room temperature. Then, put the mold in the freezer for 24 hours to keep it cold. Certain fragrance oils can cause the soap to heat up, which can lead to glycerin rivers. Make sure to read the performance notes before getting started. 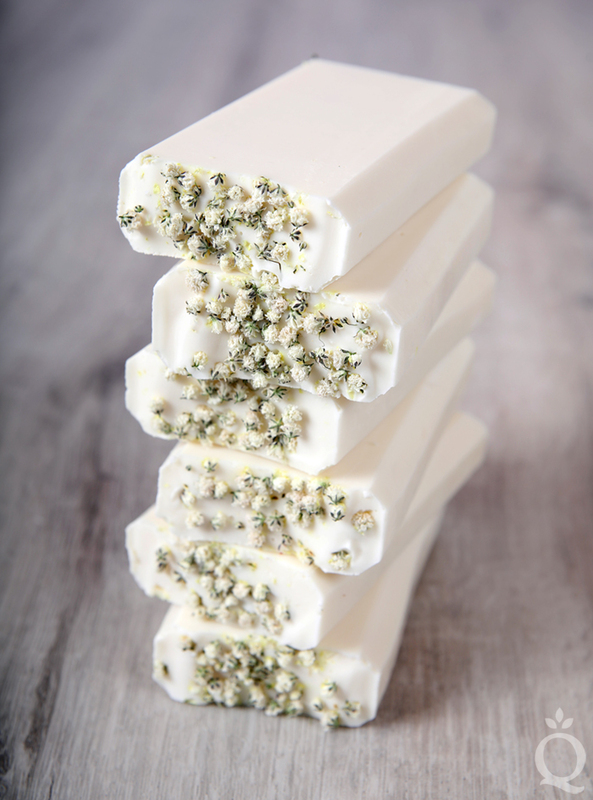 This Baby’s Breath Soap tutorial shows you how to create bright white bars with no glycerin rivers. This post was updated in January 2019. I think that these rivers are called “glycerine” only because they look like glycerine, but I’m afraid that these are not made with glycerine. These must be some of the translucent soap molecules (sodium salts of specific fatty acids) that get solid after the gel phase at different temperature in comparison with other soap molecules. If you try and wet only these areas they don’t dissolve easily as glycerine would do, but the act more like normal soap. Thanks so much for your feedback! Glycerin is a natural byproduct of the soapmaking process – every handmade soap will have glycerin in it. That’s one of the things that makes handmade soap feel great on the skin. Glycerin helps the skin draw in and retain moisture. Because the little rivers in the bars are still soap, they will still feel and act like soap! They just may feel a little softer. My husband and I make soap together and he almost ALWAYs gets the glycerine rivers while using “Island Escape” from bramble berry (it also discolors to brown) but its such a lovely scent… we will try these tips!! thanks~! I have noticed that I only get them when I use the water dispersible Titanium Dioxide. If I want them in my soap, I will use water soluble TD. If I don’t want to see them, I turn to Oil Dispersible TD. Very informative, thank you. I did my first ‘master batch’ soaps with 3 new log molds, and all 3 soaps have glycerin rivers in the td white areas. Still pretty, but disappointing. I’ll try water discounting my next ones. I too think it’s an interesting look! I have also seen a little bit of these “rivers” in the old oil paintings that are in the museums in Europe…probably because they used titanium dioxide as one of their paint pigments? Thank you for the great post! Oh how interesting! I suppose that’s totally possible 🙂 I’m glad you found this post helpful! Thank you for this post, you guys always provide the best education in CP soap you can find online. I get glycerin rivers very often and I love it! I think it actually adds character to my marbling effects and usually post pictures for my customers on Instagram, emphasizing the -good for your skin- glycerin content. I’m so glad you found this post helpful! We are always happy to share as much information with soapers as possible 🙂 I agree, I think glycerin rivers can look really cool, and do give a great visual to customers! Thank goodness! I was afraid they were lye pockets! Thank you so much for all that you do!! You’re so welcome, I’m glad you found this helpful! I’ve never gotten this reaction, just wondering, are the rivers solid like the soap, or are they liquid? Thanks!! They are solid :). It actually just looks like clear soap! That sounds like it was really cool looking! Sometimes glycerin rivers can give a really neat effect. I’m glad you found this post helpful! When adding these micas and oxides mixed with oil to your soap, do you have to account for that extra oil in your recipe? If so, then how? I love the explanation, thanks! I have another question though. Do you have a post somewhere of how to make the gorgeous soap pictured? i must have missed it! I was having this phenomenom occur quite often when I started out and was using homemade wood molds and insulating with two towels. Turns out this was overkill and the wood alone is enough insulation to get to gel phase. Just as a precaution though, when using certain fragrances now, especially with titanium dioxide, I soap at cool temps and sometimes freeze after pouring. You’re right, that is a lot of insulation! Sometimes it takes a little trial and error to find the perfect amount :). Thanks for sharing your tips! I always seem to get glycerin rivers in my beeswax soap. Any tips to prevent that since I’ve got to keep my temps up to get the beeswax mixed in? I always seem to get glycerin rivers in my Beeswax soaps. Any tips on how to prevent that since I have to keep the temp up to prevent the beeswax from solidifying before I get it mixed in? Thank you, You never fail me. I made a batch of Cold Water fragranced soap over the weekend. Used TD and Ultramarine Blue in a drop swirl. After I cut the bars, I noticed that some of the portions of the white had turned clearish. It’s nowhere near as bad as your examples. Glad to know what it is. Mine look pretty good…like it was intentional. Thanks for the info, you saved me a lot of internet searching. Thank you for sharing your knowledge, you are the best soap making teacher! I’m glad you found this post informative, we are always happy to share soapy information!